Using your own body fat to rejuvenate your face, hands and other areas of the body that are showing their age – is the most natural method of body sculpting available today. Aging, lifestyle, genetics and illness determine how we will age and at what pace these changes will occur and become visible. Loss of collagen and elastin – the skin’s main support structure – hastens the appearance of lines, wrinkles, hollows and folds in the face, while neck bands form, tear troughs become deeper, upper eyelids descend, and lips lose their beautiful shape. Dr. Yeh employs Fat Transfer in Orange County and Newport Beach, using your own harvested body fat, to restore volume to these areas and rejuvenate them to a more refreshed – youthful appearance – naturally. WHAT IS FAT TRANSFER – LIPO TRANSFER? Fat Transfer is an advanced facial rejuvenation procedure Dr. Yeh uses to shape and restore areas of volume loss. Liposuction is employed to “harvest” the fat from areas of the body with excess fat deposits – such as the abdomen, hips and/or thighs. The fat is then specially treated and injected into the areas of the face needing volume replacement. Today’s advanced liposuction techniques and tools enable Dr. Yeh to precisely sculpt areas during fat removal and recreate the balance and harmony of a youthful face. WHY FAT TRANSFER – WITH LIPOSUCTION? Fat Transfer corrects hollows, depressions, scars & more – naturally. There are several excellent injectable fillers available today – each one has its own virtues and distinct advantages. Dr. Yeh makes each of these – such as Radiesse, Restylane, Sculptra, Juvederm and Perlane–available to his patients. He is specialized in the use of each of these amazing products and knows which is best suited to each individual need. He also understands the benefits of using your own body fat to create natural, healthy, vibrant results that are truly – longer lasting. All men and women – who are in good health – with a desire to rejuvenate the face by restoring lost volume – could be ideal candidates. Dr. Yeh will be able to determine if you’re a good candidate, during your consultation with him. He will do a complete assessment of your concerns and your goals. He will tailor your treatment to achieve your goals and the most desirable results. Your procedure can be performed in the office setting or surgery center complete with all of the most advanced instruments and technology. Today’s refined liposuction instruments are much smaller, less invasive and cause little to no bleeding, bruising and swelling. Dr. Yeh is also able to sculpt more precisely to achieve completely natural looking results! Local anesthesia with or without sedation is all that’s needed during the procedure. A small cannula is used for fat removal from your abdomen, hips, buttocks or other areas. The fat is treated and then injected into areas targeted for volume restoration. Injection treatments require a comprehensive mastery of the anatomy – along with skilled injection ability – in order to create the desired contour without dimpling, bumps & other possible effects. Dr. Yeh is a specially trained injector & achieves the most natural looking results. Surgery involves a serious decision – many times it is life changing. Choosing a surgeon who is qualified and able to achieve the right outcome is critical. 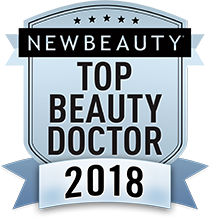 Dr. Yeh is a fellowship trained – board certified Facial Plastic Surgeon – which means he has many extra years of cosmetic and reconstructive surgery training, vast knowledge, meticulously honed skills and expertise beyond the norm. He has focused on and is specialized in all procedures of the head and neck. This does not guarantee a certain outcome – but can ensure you that he is a skilled expert and highly qualified to perform your chosen procedure. You can trust your face to this surgeon!